MILTON KEYNES, UK, 18 January 2017 - SBD announces that Mark Garrett, COO of Ricardo plc has joined its Board of Directors as Chairman. 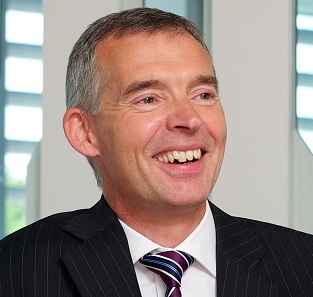 Mark Garrett joined Ricardo plc in 1998 and was appointed COO in 2010 following a number of key roles, including Global Product Group Director for Gasoline Engines and Head of Ricardo 2010 Consultants Ltd. Following the £1.5 million investment received from Albion Ventures LLP in the last quarter of 2016, SBD has been looking to expand and strengthen the board with talented and ambitious individuals who can help drive the organisation’s growth plans. Mark Garrett’s impressive achievements with Ricardo plc will support SBD’s plans to exceed its 2016 growth of over 50% and the move into new markets in 2017. The appointment also comes at a time when the automotive technology sector is forecast to grow significantly. Between 2016 and 2020, car manufacturers are forecast to spend more than €42 billion on offering connected car services and higher levels of vehicle automation in the EU, USA and China. SBD has offices in Europe, North America, Japan and India. Founded in 1997, the company has established a unique position in the automotive industry through its large team of specialists in connected car technologies, advanced driver assistance and automotive cybersecurity. Their unrivalled knowledge and experience is trusted by the majority of the world’s leading vehicle manufacturers and suppliers. Mark Garrett was appointed as Group Engineering and Products Director at Ricardo in 2008 and in 2010 was designated Chief Operating Officer. Mark joined Ricardo in 1998 as Manager – Gasoline Engines, coming from the position of Small Car Powertrain Manager at Rover Group. Since joining Ricardo he has performed a number of key roles, including Global Product Group Director for Gasoline Engines and Head of Ricardo 2010 Consultants Ltd. Mark holds an honours degree in mechanical engineering from Bristol University, is a Chartered Engineer and a Fellow of the Institution of Mechanical Engineers.